Biblical illiteracy is at an all-time high. Too many of today’s Christians have replaced a comprehensive—Genesis to Revelation—in-depth study of the Scriptures with a-page-a-day reading of the New Testament. If that! But Scripture says, if we are to be approved by God and not ashamed, we must rightly divide the word of truth. (2 Tim 2:15). And bear in mind that when Timothy wrote in 2 Tim 3:16, that “All Scripture is God-breathed and profitable for doctrine, for reproof, for correction, and for instruction in righteousness,” he was referring to the Old Testament. The so-called New had not yet been written. Cafeteria Christianity is the term I recently coined to describe believers who treat God’s word as if it were a cafeteria. They cruise the verse-line of Scripture and select—out of context—passages written by Paul that seem to promote a heretical doctrine which claims that God’s law-has-been-done-away-with. This heresy, though epidemic today, is by no means new. Theologians long ago named it Antinomianism. This Anglicized term combines the Greek word nomianism, defined as “belief in the law” with the prefix anti, which means averse to or against. Paul taught against the lie that maintained unless one was physically circumcised he could not be saved. But Paul knew God’s order of doing things. He knew that circumcision of the heart, not the flesh, was the only prerequisite to salvation by faith. For without a circumcised heart one could not love God. This was the sequence the LORD set up from the beginning. And since the LORD is the one who circumcises hearts, from the beginning it was by grace. (Deu 30:6) And the LORD your God will circumcise your heart and the heart of your descendants to love the LORD your God with all your heart and with all your soul that you may live. Remember that Abraham did not circumcise his flesh until he was 99 years old, 24 years after in obedience to God, he departed Haran. In three places (Romans 4:3, Galatians 3:6, and James 2:23) Scripture says this obedience was accounted to him as faith. I have said all this to make it clear that we in the Hebrew roots movement DO NOT preach salvation by works. We are saved by faith. We obey God’s law as an act of obedience because we love Yeshua. But this antinomian controversy is by no means new! In fact, there was a famous trial back in 1636 that dealt with this ANTINOMIAN CONTROVERSY. In the fall of 1636, a woman named Anne Hutchinson caused great turmoil reinterpreting the clerical doctrine of the covenant of grace, which held that the elect entered a covenant with God through faith in Christ, after which they were to devote themselves to good works as evidence of their salvation. Here is the account from “Antinomian Controversy.” Dictionary of American History. 2003.Encyclopedia.com. 12 Mar. 2015 <http://www.encyclopedia.com>. “Hutchinson declared that stating the matter in this way put too much emphasis upon works and denied the fundamental Protestant tenet of salvation by faith alone. Consequently she preached that the believer received into his soul the very substance of the Holy Ghost and that no value whatsoever adhered to conduct as a sign of justification. “This conclusion, feared the New England clergy, would hasten the decline of morality that Protestant theologians had everywhere endeavored to resist, and it could clearly lead to disastrous social consequences. They identified in Hutchinson’s teachings a form of “Antinomianism,” that is, a discarding of the moral law. She made matters worse by accusing all the clergy except Cotton of preaching a covenant of works, so that, in the words of John Winthrop, the governor of Massachusetts Bay Colony, it began to be as common in Massachusetts to distinguish the party of works and the party of grace “as in other countries between Protestants and papists.” Thus she threatened to split the colony into factions, particularly when she was supported by her brother-in-law, the Reverend John Wheelwright, and the new young governor, Henry Vane. When Yeshua said all the law hangs on loving God and loving man, He was simply naming the two categories into which all of his commandments fall. But the way in which we are to demonstrate our love for God has NEVER been subject to individual interpretation. Yeshua said if we love him to keep his commandments. 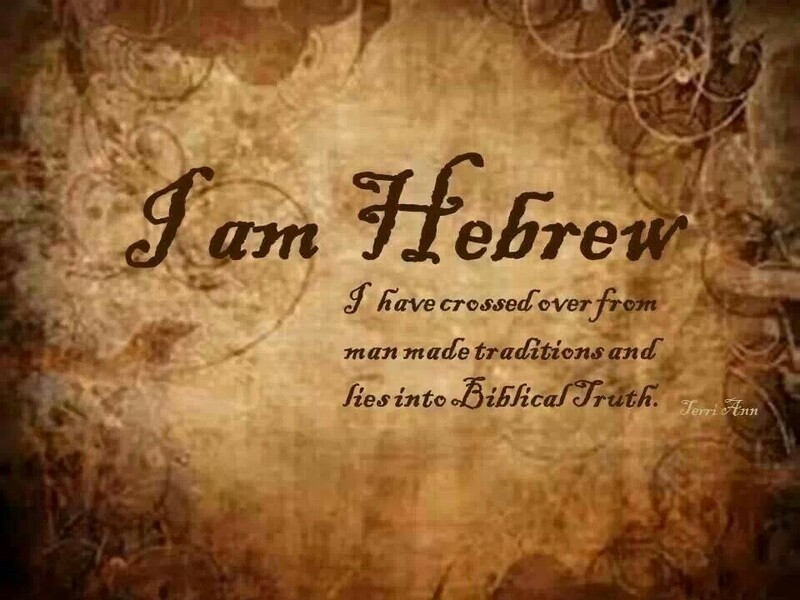 At its heart Hebrew Roots is about repenting and reverting, returning to that which God established from the beginning, His TORAH. But most translators choose to write “convert” which implies turning to something new, something different. Paul warned in Acts 20:29 that after his departure he knew that grievous wolves would come in and not spare the flock. And that is exactly what happened. God warned his people not to add to or take away from his word. Yet that is precisely what Rabbinic Judaism and Constantinian-Christianity have done. Rabbinical Judaism, through their oral law and traditions, in effect added to God’s Written WORD. Whereas, starting in 324 C.E., Constantine and the Roman Catholic Church removed vital parts from God’s word when they changed the Sabbath, outlawed Yahweh’s Feast Days, and marginalized Scripture’s bedrock by pejoratively dubbing it the Old Testament. And although Rabbinic Judaism did not officially exist prior to the destruction of the second temple, its groundwork was laid long before. Yeshua railed against Pharisees who rejected God’s commandments to observe their (oral) traditions. (Mark 7:9). Later, these same oral traditions were codified in the Talmud and Mishnah. Rabbi Moses Maimonides, known as the Rambam, taught that rabbinic traditions were to be followed even when they “contradict the plain, grammatical sense of the Torah.” Were a prophet of God to confirm that the plain, grammatical sense of the Torah was correct, it would still be considered less authoritative. According to the Rambam, even a voice from Heaven could not overrule the rabbis’ majority opinion. The disastrous decisions enacted by the Council of Nicaea in 325 and the Council of Laodicea in 363 C.E, veered the Church from the old path, where scripture (Jer 6:16) says the good way is, careening them into the dark ages. Drunk with power, the Roman Catholic Church had an empire to build. They began with seizing control over education. Backed by an imperial Roman Court, they restricted instruction to potential priests. Knowledge which did not serve the Church’s purpose got suppressed, and access to the scriptures, except for clergy, was forbidden. In a stark contrast to Hebraic thought, which encourages literacy so all can study Scripture, within just a few generations the Church’s pagan iconography replaced language. By then, even most priests could not read, and the world, for over a thousand years, plunged into the dark ages. 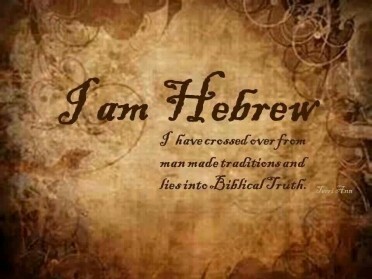 Through the Hebrew Roots movement God is in the process of restoration. Those of us who have returned to the old paths where the good way is, like the author of Jude, we exhort the Church to contend earnestly for the faith that was once delivered to the saints. The faith of Abraham, Isaac, and Jacob is an ancient faith which does not turn the grace of our God into licentiousness by declaring his TORAH has been done away with. We are rebuilding the old waste places and raising the foundations of many generations. We are the repairers of the breach, restorers of paths to dwell in. We have turned from doing our own pleasure on Yah’s Holy Day, the Sabbath. We now call His Sabbath a delight, the Holy Day of YHVH honorable. (Isaiah 58:12-13). We know that God renewed the Covenant by writing HIS LAW on our hearts, so that we can finally obey HIM and be blessed. God is eternal. He does not change. His TORAH has not changed. Biblical Faith is not some cafeteria line. You cannot pick and choose—tithing in, eating clean out—which of his LAWS to obey! Falling into sin, which is transgression of the law, is not the same as deliberately choosing to sin. God knows the difference. When one sins unintentionally, he quickly repents, and God forgives. But how can one who flouts God’s law, claiming it’s been done away with, repent when he doesn’t realize he is sinning? For nearly 1,700 years, Satan, the Lawless One, has been whispering to Christians, “Hath God really said you should keep his commandments?” Well, it is time for the Church to answer with a resounding, “Yes!” Repent and REVERT! Come back to the old path, where the good way is, and walk in it! We have a small group in the Atl area. It would be great to hear of upcoming events in case we can come that way. You may be familiar with Andrew Gabriel Roth. He is also in our area and has written the Aramaic English New Testament. He is a great help to us. Shalom. The title of this teaching is similar to what Abba Yah gave me many years ago. I call the one He gave me “Buffet Christianity.” He showed me via an example of two believers walking into a buffet. They both see the same things. Both pick up a plate and proceed to get what they want to eat. The first person “picks and chooses” what they want to eat. The second person gets a little of everything. What Abba Yah showed me is this is an example of two kinds of believers. The first who picked and chose what they wanted is called a truth seeker. They pick and choose from Scripture what they want to believe and leave the rest. The second person picked a little of everything. Abba Yah showed me this person is called a truth lover because this person embraces the Whole Written Word of YHWH. This teaching “Cafeteria Christianity” is a good teaching. YHWH drew my wife and I out of Christianity over 18 years ago. He has shown me that if a person really wants His Truths from His Written Word that He will open their hearts to understand His Word. He has shown me many “say” they want His Truths but in reality when they learn His Truths, they revert to their Babylonian Institutionalized Church Systems dogma/traditions. Many in Christianity are in for a “rude awakening” when Yeshua returns. Many will be of the company of “least” in His Kingdom. This is why it is imperative for all believers to repent and revert to His Written Word. We and no one else are held accountable for all we say, do and think. We need to examine ourselves daily to see if we measure up to His standards/Written Word. May Almighty YHWH quicken the Christian Churches to repent and revert to His Absolute Written Word and “do” as He has instructed His children to do. When we read the Messianic Scriptures also known as the New Testament, we need to remember that we need to use the same Bible all the writers of the Messianic Scriptures used and it was none other than the Tanakh also known as the Old Testament. Let us therefore pray to YHWH our Elohim to awaken our brothers and sisters in Yeshua to repent/revert and come to His Torah. For in obeying His Torah which is Instructions, we live and we demonstrate our love for YHWH our Loving Heavenly Father. To YHWH be the Power and Glory forever and ever, Amein! Very well said! Thank you for sharing, Eddie! Well written & thoughtful article. Being new to Hebrew Roots, I find obeying Torah & joining in the 3-primary feasts in no way legalistic. Camille & I have been more blessed than coming to Vineyard of Yahweh! Thanks! Praise Yah! See you on the Sabbath! And we are so blessed to have you! Awesome sister. You are a trumpeteer of Yah’s truth!